The authors paint a vivid picture of what these concepts look like in the life of a person who has mastered them (and conversely what they might look like when you haven’t). They give you the language to finally understand on a deep level what’s wrong in your life. PART 3: THE SUPPLEMENTAL WORKBOOKS. These four workbooks are filled with step-by-step instructions to help you master the four key developmental areas. This is where you “do the work.” Some people choose to engage a coach during this phase, though it’s not required. It’s incredibly comprehensive. 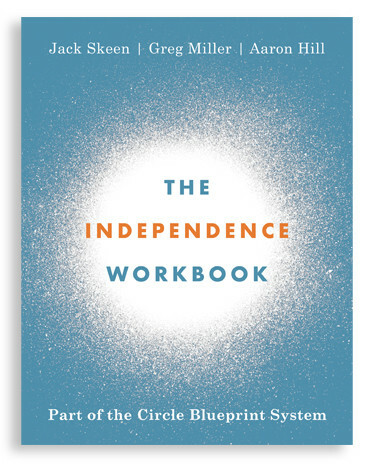 It covers a broad spectrum of behaviors and works well for many different personality types. Also, it sparks improvement (often dramatic improvement) in both the personal and professional areas of your life. It’s personalized. Many self-help books and programs are “one size fits all.” They give generic advice on what to do without first showing you where you are on your journey right now. (This is why most don’t work.) 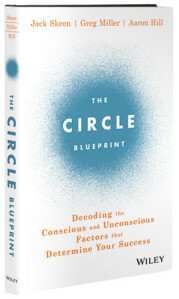 Thanks to the thorough and accurate assessment, the Circle Blueprint System is all about you and how you view yourself. Then, depending where you fall on the five-point mastery scale—whose levels range from “hanging on” to “thriving”—you’re directed to the appropriate starting point in the appropriate workbook. You start where you are. It’s private. Sometimes people feel uncomfortable revealing personal information about themselves. That’s why the system is designed for privacy from beginning to end. Participants are reassured by the knowledge that their assessment results and all subsequent improvement work are completely confidential. It’s flexible. You can read the book first…or jump right into the assessment…or take the assessment in stages as you follow the book. You can focus your efforts on mastering one of the four developmental areas or all of them. You can take advantage of specialized coaching if you like—or you can work on yourself without engaging any outside help. You can go as deeply as you want and move as quickly as you want. It’s cost effective. While it is beneficial for many people, coaching is not required. 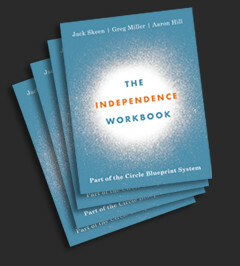 Once you’ve purchased the materials, you’re fully emancipated to work by yourself, at the cadence that appeals to you. It fosters rapid improvement. Once you become aware of your weaknesses, you can improve very, very quickly. It’s not unusual for a person to move from “hanging on” to “thriving” in the blink of an eye. It's a pathway to lasting change. Again, “awareness” is the magic key. Once you know exactly what your problems are—what’s holding you back from having the life you want—you almost have to address them. You know ignoring them is only hurting yourself. And once you see and feel the improvements in your life, you’ll do anything to keep from going back to where you started.